The White House in Washington DC. Hillary Clinton isn't the only woman with government experience running for President. 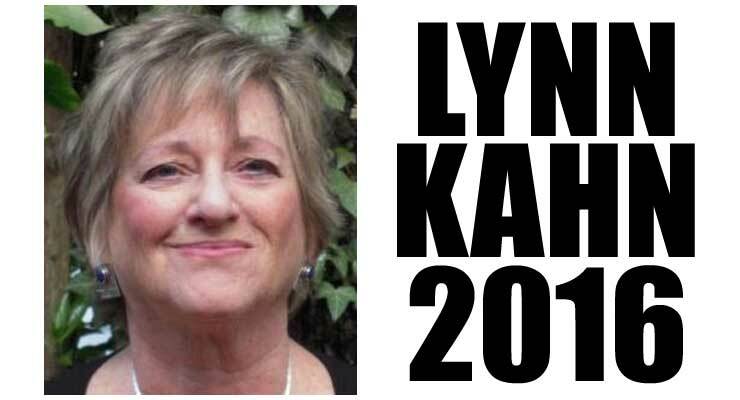 Clinical psychologist and presidential candidate Dr. Lynn S. Kahn has been reinventing and transforming government from the inside for 32 years. On her 35,000-mile travels around the United States, Kahn beguiled Republicans, Democrats and independents alike with her wise grasp of the issues and her 7-track plan to fix government and build peace. JF: If the culture of Washington were a patient, what diagnosis would you give them? 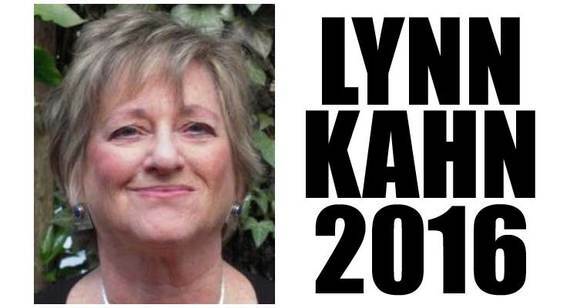 LK: (Laughing) I would start with dissociative disorder because they're disconnected from what 'we the people' want and deserve. It's passive aggressive too, which leads to a lot of pretty immature back and forth -- the attacks, counterattacks, revenge, more attacks, and more counterattacks. I've worked inside the federal government as an organizational psychologist so I really understand the mechanics and dysfunction of federal agencies and departments. I can look under the hood; I can see what works, what doesn't work, what needs to be changed. An example of what isn't working is the current mission statement of the U.S. Department of Justice. It is organized around three words: control, enforcement, and punishment. LK: That mission statement is never going to solve mass incarceration, the school-to-prison pipeline, or the tensions and distrust that exists between communities and police departments. You have to change the mission, reset the priorities, put new requirements into the budgeting system and reverse policies in the justice arena that grow poverty, lousy schools, unemployment, low wages and incarceration. That same work has to be done in every single federal agency. And it is all connected -- government is a system, a living system. JF: You've been inside the government for 32 years. Are you running for POTUS because you couldn't make progress as an employee? Because you feel it's a top-down problem? LK: It's a top-down, bottom-up, inside-outside problem. I've been part of some amazing projects! I was at the Federal Aviation Administration for 22 years and represented the FAA on the White House Partnership to Reinvent Government for six and half years. Working on Reinventing Government in the 1990s was great. At one point there were 300,000 federal employees trying to cut red tape and consolidate programs, do regulatory reform, put true customer service standards into agency operations and translate government-speak into plain language. Reinvention also taught me to look for best practices all across the country. Today I see many local, state and tribal governments trying to do great things; everywhere there are partnerships delivering important results. The problem is that the current culture of the federal government gets in the way; the federal government is not geared toward results. It doesn't measure important outcomes. It's about expanding programs and bureaucracies so success in the real world doesn't matter. JF: Is it more about the money than success? LK: It's more about control and a dense bureaucratic process than it is about results that matter, leading to tens of billions of dollars wasted in every agency. The federal government uses a competitive model to deliver money to a few communities rather than looking at 'how can we help all communities and how can we coordinate across all government agencies to deliver results?' I have worked on many successful change projects including the incredible transformation of the New York City Department of Probation. I'm convinced that what it takes to really transform government has to do with partnerships, not creating competition, but seeing the role of government as building partnerships across agencies, with non-government partners, and with community-based organizations to deliver services that people want. You are right that it is also about money. I got so fed up because I see the waste in government. There is a long list of programs with no results - that alone adds up to a trillion dollars of waste. There are also lists of programs that duplicate each other with most of them having no real results. My 7-track plan says to cut that waste and invest those dollars in our families and our communities. JF: It sounds to me like you are looking at the whole government at once. That's an overwhelming job for one person. Do you have people who could carry out your vision? JF: Shifting to the drone program. Why can't we see there's no integrity? I think the culture in the United States has changed so much, we allow these things. Not everyone feels the drone program is okay. But a lot of people do! LK: I would put a halt to it. There are 'signature drone attacks' in situations where it looks suspicious as opposed to when intelligence on the ground says 'this one person is in this particular place.' I saw a report that I trust showing 1.2 million civilians have died in our war on terror. We as a nation are so disconnected from the deaths and destruction that is happening throughout the Mid-East. LK: Yes. My platform is to Fix Government and Build Peace. Building peace here at home starts with transforming the mission, priorities and the funding practices of the U.S. Department of Justice. Building peace around the world will be a function of my new 5-point doctrine for foreign policy: (1) We must be strong to build peace; (2) The purpose of our foreign policy is to build peace; (3) Building peace does not mean being stupid; (4) We must make wiser foreign policy decisions; and (5) We must tilt Washington DC toward peacebuilding. Last year, in 2015, in one listening tour, I drove 14,128 miles around the U.S. in 100 days. My conclusion: the spirit of America is strong, the state of our union is fragile. That is still true. We are in trouble. I also still hear over and over this complaint: 'Government lies to us all the time.' I have tried to sort that out. I realized that the official numbers and the official reports that come out of the federal government are deceitful and manipulated. JF: Like the unemployment numbers? LK: Absolutely. Unemployment is not 5%. It's at least 10%. There are communities where it's 30, 40, and 50%. There are 15 Native American tribes where unemployment is over 50%. So the official reports are unbelievable. Almost 40% of the American people are not participating in the economy. They don't have jobs. You go to these small towns, and everything is closed, block after block of boarded up diners and gas stations and repair shops and beauty salons. These little towns are dying because there is no work. No one believes unemployment is 5% - no one believes what the government says about the economy. The other number that is so manipulated and so deceitful is the poverty number. The official number is 14 or 15%, but when I drove around the country for 100 days last year, I saw poverty in America first hand. I concluded that the real rate is 34% - that means 100 million Americans struggle every day with hunger and homelessness and economic insecurity. If we don't get the numbers right we will never solve our most urgent problems. For example, this year for the first time 51% of kids in public schools are eligible to free and reduced lunches. That is a measure of poverty. And the numbers of working poor, the numbers of homeless folks who have jobs, the numbers of employed people who are working part time and have no benefits -- I think that's part of why people are so angry. LK: We need a balanced approach that recognizes that there are about 11 million people who have been here for a very long time and haven't caused any trouble who need a logical, legal path to citizenship. That includes immigrants who came here as very young children. I do think we need to be smarter, and give our border control people the tools to do a better job screening who's coming into this country. I think it's naive to deny that there are people out there trying to hurt us and we just have to recognize this as the real world. But it's not the guy from Mexico who's working in our fields or our houses and wants to spend a couple of weeks with his family in Mexico and then come back here to work. Why haven't we figured out a path to legal status for people who've been working here for a long time? JF: How do you reach so many people to tell them you're running for President? It's overwhelming! LK: Actually, I don't feel overwhelmed. Because I have a vision, I have goals, I have a 7-track plan and I know what I would do starting on Day One. I have a lot of people helping me, I have a kitchen cabinet, I have advisors in every domain of government. JF: If people don't know who you are, how are they going to know to vote for you? LK: Social media is pretty amazing. People are finding me via social media. And people are sick of the political parties. They don't know they have options, they don't know there are alternatives, that's true. But here I am talking with you - you found me - and I have great faith that others will too. I am convinced I am on the path I am supposed to be on. I know that I am supposed to bring the conversation about transforming government and building peace into this election cycle and then into the White House. And yes I believe I will be the next President of the United States. JF: Having never worked in Washington as a Congressman, how do you think you would work with Congress? LK: I think it serves me to not have been a senator or congressperson. I believe that only an independent or third party candidate will be able to bring together people and politicians to focus on shared problems and solutions. One of the first meetings I want to have as President is with the Senate and congressional committees on government reform. There's a lot of stuff they understand that I agree with. Right now only 19% of Americans trust our government to do the right thing. That means 81% of us don't trust our government at all. And 75% of Americans think corruption is widespread in government. It goes back to what I hear throughout the country: government lies to us all the time. There is no integrity. There has to be integrity. There has to be openness. It starts in the White House. It starts with telling the truth, with talking about a foreign policy that has been so destructive and has been so poorly put in place. I think our foreign policy has to be about peace building. The purpose of our military is to protect the homeland and go to war when we as a nation believe that is the right thing to do; the purpose of our foreign policy is to build peace. JF: What better way is there to start diplomacy than by thinking in terms of peace! LK: I agree and it's true here at home too. One of the scariest things I have heard this year - from South Carolina to Nevada - is young people saying they are going to vote for Donald Trump to foment violent revolution and bring down the government, not because they wanted to vote for him, but because they wanted to foment revolution. That's what they believe. JF: To foment violence? Can I quote you on that? LK: Yes. Last year, people were frustrated and angry; they were not disconnected; they were frustrated. This year, they are angry and afraid. I didn't hear fear last year. People are afraid for what's happening to our country, afraid for our republic and for how we define democracy. Part of that fear is about violence. That's not my position, I'm just telling you what many, many, many people are saying; some want violence; they want a government that is failing them to obviously fail. Others are afraid of violence. JF: Do you think a revolution will require violence?